A “twist on tradition” house designed by the architect/homeowners and built by Cates Fine Homes is featured in the Star Tribune as the August 2018 AIA Minnesota Home of the Month. The new house was built on a narrow (and rare) vacant lot located in Stillwater’s historic preservation district. It’s a Modern American home that is respectful of the neighborhood’s past. Inside, the design is clean and almost minimalist, with a floating staircase and a layout that meets the needs of a busy young family. Outside, the home’s traditional gabled roofline, wood siding and wrap-round porch make it a good neighbor to the old houses surrounding it. 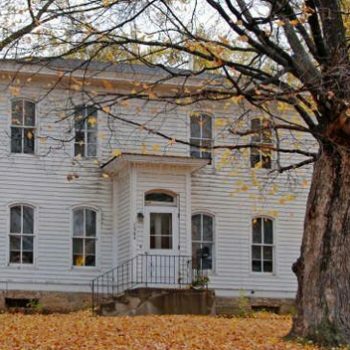 In fact, the home received a Preservation Award from the Stillwater Heritage Preservation Commission. An efficient floor plan maximizes use of the home’s 1,925 square feet. The upper level features four bedrooms, while the lower level is cleverly designed around a “core” that keeps the clutter of the entryway and laundry room out of direct view. The creative homeowner design team included Sarah Imhoff, owner and designer at Imprint Architecture + Design, located in Stillwater, and her husband Jeremy Imhoff, architect with Sundberg Kennedy Ly-Au Young Architects based in Seattle. AIA Minnesota Home of the Month is a partnership between the Star Tribune and the Minnesota chapter of the American Institute of Architects.